Keg Ribeye The Keg Ribeye is seasoned and grilled to perfection. It's served with a baked potato, grilled red peppers, steamed green beans and finished with sautéed field mushrooms. The Keg Ribeye is extremely tender and flavorful. A truly wonderful eating experience! Overall a great evening. Our waiter took good care of us and the filet's were tender and flavorful! Great experience all around. Very loud inside. But pleasant dining outside. We eat at the Keg often and have always enjoyed the food and great service. This time was no different. Good was very good, service excellent. Enjoyed our evening! Always reliably good. What I really enjoy about this place is that they do always deliver the steaks cooked just right. Many restaurants can't get that done but I have never been disappointed at the keg. They even know to cook a well done steak (I know but my wife likes it like that) without having to butterfly it and while maintaining some juiciness. If everyone is on board for steak, it's a great place to get one. The other options are limited to chicken, tuna, and salmon, and whatever the special is. They have prepared a small lobster tail as an entree for my wife before, but it's an off menu offering that you may or may not convince your server to do. Valentine's Day...very special ... everything was great! Place is a little dark but food is good. Great value for the meal just watch out for the horseradish it's insanely hot. Excellent service; attentive and accommodating. Food is delicious and special requests always handled with ease. The quality of the food was very disappointing, my steak was very tough. It was very busy and the service was not attentive, eps. in the bar before we had dinner. It was very pricey for the quality of the food. Lovely patio dining, sunset view, great food. The Keg is consistently very good food and service. Our waiter Robert was outstanding. Food was great as always! Great service blfrom out waiter Jim. Outstanding peppercorn steak. Flavors of all our meals were spot on. Wonderful place to celebrate an anniversary. They went above expectations to make the evening special. Always have a good meal at The Keg. And the service was outstanding. Every aspect of our experience was stellar. We arrived before the rest of our party and had a cocktail in the bar by the fire. Then, we were seated in another room, also by the fire. The ambiance was shining and stellar. The food was divine. Our server was most excellent. It was one of the greatest meals of my life, and I am from New York and have travelled the world. Thank you so very much! Great night; the food was delicious as always! Our waiter; Jeff was wonderful. As a frequent patron at the keg this occasion was very disappointing. Meals were over cooked and not appealing. Will probably give it one more try before looking for an alternative. Everything was great as usual. I did get a 'no show' message from open table which I have responded to. Teriyaki sirloin left a little to be desired... but the prime rib was outstanding as was the service. Was our favorite in Toronto. The Desert Ridge \nversion lived up to those expectations. Well\ndone. I know it was Valentine's Day and the staff was very busy, but our waitress gave very poor service !! She only came back like 3 times the whole evening, never asked me or my wife if we wanted another drink or not, I had to get up and ask the bartender for a glass of water for my wife. The servers we're much more helpful and nicer than the waitress was. By the end of the meal, which was fine, we just shared a Prime Rib dinner, my wife was ready to go, so we just paid our $82.00 bill and left !! I am usually a great tipper and always leave more than the expected amount, but this time I only left $5.00. Everything was fine, just poor service by the waitress !! Food was excellent . It was very busy the night we were there but our reservation there was no waiting . Very accommodating . Ambiance is very nice, we were seated in a quiet room by the fireplace. Our server was attentive and friendly, she checked on us often. Food was prepared perfectly and our service was timed nicely. We had a lovely evening and have each time we've been to the Keg at Desert Ridge. Food and service was outstanding. Waiter was very friendly and professional. Great place ambience real nice. Priced reasonably, highly recommended!!!! The Chicago charred ribeye is AWESOME! A great experience as usual. Food was amazing, quiet ambiance. Good service. Loved the brie appetizer. We were first introduced to The Keg while visiting Vancouver Canada over 10 years ago. We really enjoyed the food and atmosphere. We continually visit our local Keg here in Phoenix, AZ and always impressed with the food. We've been here twice now and it is becoming our new favorite restaurant. The food is absolutely delicious, some of the best steaks I've had. Everything we ordered exceeded expectations. Great service, delicious food, nice ambiance! The waitress was very tentative and the fillet mignon was grilled to perfection. We will definitely return. We had a great experience. It was a little slow on the food service, but overall it was a great dining experience. My birthday dinner. Server explained twice he couldn't find candles for dessert, had many birthdays that evening. Lighting too bright overhead table, couldn't figure out how to dim upon request. Will try lounge only next time. Last 3 visits to dining room were below expectations. Very good food cooked to our specifications and very good service. ONCE AGAIN, GREAT SERVICE AND AWESOME FOOD. THE KEG HAS ONE OF THE BEST FLAVORED STEAKS. Ourstanding Crew and Wonderful Food ! My Family celebrates ever Special Occasion at the Keg ! Usually at Dessert Ridge , but everyone we have visited has been has been a pleasure ! Always a great experience with delicious well prepared food and super wait staff. We absolutely loved it! It wasn't our first time there, but we have loved it every time. The Keg always steps up to the occasion offering very good table service, great cocktails and wine selection in addition to perfectly cooked entrees. The twice baked potato doesn't overstuff, salads are fresh and generous. My only 'mild' complaint is choice of vegetable sides. I love the meal now that I know how to order the way I want my steak done. A medium is a perfect medium rare for me. The seafood topper was delicious and the service is outstanding. Very good food, great value but got the distinct impression then sooner we eat the soon they could rebook that table. Not very relaxing. We have enjoyed the Keg on many occasions over the years dating back to our first experience in Blackcomb Village, BC in the early 90's. I don't think there is a better steakhouse in Scottsdale, especially when you factor in value and ambiance. Our most recent trip was to celebrate my birthday and the Peppercorn New York Strip was to die for. The food was excellent- where they lost us was a wait even though we had reservations through open table and waiting 30 minute for the check when we were done. Our server was busy attending to the table next to us and completely ignore us for 30 minutes. Food was good....nothing outstanding. Service was attentive until it got so busy, everyone was racing around. Excellent food! Kyle was a great Server! Kayla, manager, was a nice touch! Why is this place still in business?\n\nFirst of all the service was terrible. 'Slow' would be giving it a positive adjective it doesn't deserve. We sat for 15 minutes, at least, without the waiter even taking a drink order. I read another review about a bad waiter and ours had the same name!\n My seat was so in the dark I had to use the phone flashlight to read the menu. The promised bread never arrived until after the long wait for the salads, and the bottle of wine took forever. The bread came as one large boule shape that is dividable for four, which is clever and delicious looking. Just ordinary, however. They need to make it an actual French boule.\n\nFour of us had the prime rib, which is supposedly the specialty. It was tasteless. The accompanying baked potato tasted like it had been sitting for hours in the warming drawer. Chains like Outback and Houstons can do their potatoes perfectly, so there is no reason this steakhouse cannot do the same. \n\nI am amazed by the positive reviews. The only thing positive about he entire experience was the pricing. However, I'd rather pay more and have a great meal, than less for mediocrity. My wife and I had a dinner reservation at The Keg Steakhouse. We arrived a few minutes early and were given a pager and asked to wait. We waited past our reservation time. The hostesses were busy talking and looking at tablets instead of seating people. We were not the only ones with reservations and a pager. When our pager went off we were escorted to our table and it turned out the place was half empty. There was no reason to let people with reservations wait. After we got beyond this poor start the experience improved. Our server was great, the steaks were wonderful and the wine was excellent. So the dining experience after being seated was four stars, the treatment upon arrival deserves no more than two stars. Just a superb meal in a fine atmosphere. The servers were very attentive and did an outstanding job. Everything was professionally done. Great Food, excellent service, really nice ambience. Would recommend to anyone. We booked a table for three yet were seated in the back room with two large parties. Our table was right at the opening so everyone - diners & staff passed our table. Would have thought a prior booking might have meant a better table. Not happy but will return. We had a terrific time. Note: it behooves you to make a reservation as this place was PACKED on a Saturday night! Enjoyed our dinner very much. I wasn't impressed with the steak I got. I had the sirloin steak and I thought it was tough. Service was great! The rest of the food was very good. Great service and atmosphere. The food was incredible! Wonderful evening. Austin was our waiter & he was Spot On, great!!! The food was amazing & the atmosphere & decor was beautiful. Only complaint, noisy. But that really can't be helped. We have dined at the Keg many times - each time is better than the last. Good food, great service. We like this place a lot. It's not cheap but less than the like of Mortons' and Ruth's Chris and the food is better. We had the filet and it was excellent! Service was outstanding!!!! Good food, service and ambiance. Will definitely go again and recommend to friends and family. It was and is always a great meal with responsive, polite, efficient staff. Never been disappointed. Be back soon! Favorite place to go for great food, value, and ambiance. Love it. Food was OK, but asparagus lacked seasoning, compared to previous visits. Drinks were awesome. Our server, Robert, was inattentive, we went without refills, forgot drinks, but was friendly. Definitely wouldn't want him as our server in the future. We dine at The Keg about once a month, usually Friday or Saturday night. Like the atmosphere, cozy, food excellent, service always superb. Last Friday, Jeff was our server, very attentive. Unlike some restaurants, not in a rush to get you in and out. We enjoy chatting over the first cocktail before even looking at the menu. We have been to the Keg many times and we have always have a great dining experience. I have the special on this occasion that consisted of a bacon wrapped filet, lobster pieces, scallops, and shrimp, plus a sauce that made the total meal just outstanding. I would highly recommend The Keg as a great place for that special occasion. Love the steak. Cooked perfectly!! The server was so sweet and patient! Just a date night with my husband but the staff was extremely friendly and fun. The service was outstanding and the food was scrumptious. My martini was perfect. We love the Keg and it will always be our go to restaurant. The Keg at Desert Ridge is a convenient location for friends from opposite sides of the valley to meet for dinner. We were very please with the food, service, atmosphere and low level of noise. We were immediately met by the hostess, who confirmed my reservation. We were given the option of joining our party at the bar, however, I have a disability and needed to be seated not on a bar stool. Our waiter was immediately available to us, greeted each of us, made eye contact. Our drinks were delivered soon after ordering . Guinness in a can is OK in a pinch but....I do wish you could pour a black and tan. Our appetizers and finally our entrees were all delivered just as ordered. We were celebrating friendship and the loss of a mutual friend a few days prior.... so the camaraderie was wonderful in the KEG environment. The meal and the service were great, would recommend. Our server was excellent and the food was great. It was the perfect night for us. A family member picked this for their birthday dinner. We had passed it at Desert Ridge for years but never thought about eating there. It was actually far better than I had expected. I guess the name put me off. It conjured up thoughts of a sports-bar/college bar atmosphere and that could well be the vibe in the bar - which was in a totally separate area that seemed huge - but the restaurant itself is much more refined. We were in a back room that was quite cozy and comfortable with a stone fireplace and a nice ambiance. Our server, Hayley, was outstanding. She was attentive but not overbearing, knew the menu very well, and was most accommodating to our special requests. \n\nThe menu itself was quite robust, with mostly steaks and steak/seafood combos but there was something for every taste. Nice selection of appetizers as well.\n\nThe manager came over twice to make sure everything was to our liking and that we were well taken care of. Everyone on the staff we came in contact with, from the hostess to the waitstaff , to the manager, wished our birthday boy a very Happy Birthday and there was a handwritten card to him, signed by a number of the servers, on the table when we arrived. Nice touch! \n\nAll in all, it was a very pleasant experience and I would definitely go back. We love the Keg. Always great food. Thank you. My husband and I went on New Year's Eve for dinner. Luis our server was wonderful. Cody the general manager came by our table and asked if we were enjoying our dinner. You rarely get this type of service now a days. We had our son's wedding dinner here back in October and again I can't say enough good things about the staff and food. It's one of our favorite places. We love going to the Keg for special occasions. We had our New Years Dinner at the Keg at Desert Ridge and as usual the food was amazing, drinks were perfect and the waitress was extremely nice and cheerful! The manager came to our table and checked on us which was a nice extra touch! New Years dinner was very good and our server was tremendous! We have been here many times and will definitely be back. Great restaurant experience for special occasions or just a casual evening out. My girlfriend and I had our traditional New Years Eve dinner at The Keg at Desert Ridge and as usual everything was perfect. Love that we can now make reservations in advance! The food, ambience and service were superb. Highly recommend for anyone looking for a special place to go for dinner. Arrived and was seated in a back room, quiet but removed. One guest asked to be reseated elsewhere, guess she was wearing an expensive perfume or something. The room and the view were comfortable. Our server (Austin) attended us perfectly, promptly. Great tasting Manhattan. Delicious Zinfandel. Didn't order apps as didn't want to sleep through our MIM concert. Had a perfectly cooked steak, partner had big piece of prime rib. Both were superb. The horseradish hasn't changed, still hot as the dickens. Enjoyed our meals, salads and the excellent service. Thanks Austin! Too full for dessert, but it looked tempting. Next time. Our services was amazing. The prime rib could have been better. It wasn't bad - it just wasn't the best. Twice baked potato was way too over cooked. However, I have eaten at the other location in Chandler and it's always been superb. Perhaps New Year's eve was too busy for them and I can understand that. Food was excellent except for Wedge Salad which had mostly white lettuce verses green. However the waiter offered to replace it which I no longer wanted instead he offered a free dessert. The waiter was very attentive and quite frankly the best I had in a long time at any restaurant considering how busy it was on New Year's Eve. The food and service were excellent. Reservations were prompt and we were seated on arrival. The only glitch was being seated directly in front of a working fireplace. HOT! On request, the fire was eliminated and the night was very enjoyable. Prime rib is worth returning for an encore! It was my husbands 71st birthday and we were celebrating with our kids. They sat us at a booth right next to the kitchen where it was very noisy and hot. However, I spoke with the hostess and asked them to move us to a different booth since I had made the reservation a week in advance and it was a special occasion. They moved us immediately and we were able to keep the same waiter. We had great service. The food was fabulous and we had a wonderful evening. Server was worried more about bigger table and did not know the menu very well. Food and service was great. Pricey but tolerable. Very busy and noisy but it was Friday night. I would dine there again. Great food, great service. We would recommend to anyone for a nice dinner at a reasonable price. The service was great and food was delicious. Felt very special and was seated fireplace to make it more special. Have eaten at the KEG many, many times. Food is always outstanding and properly prepared. My only complaint is the noise on a busy night. I've always been impressed with the professionalism of the staff, always a smile and very congenial. I do wish y'all had 1000 island dressing though. Look forward to my birthday dinner with family and friends in January. Steak was cooked perfectly! The server was so nice! Will definitely be back!! I hosted a dinner with friends last night at the Keg. My reason for choosing the Keg was that it is a fabulous restaurant with great ambiance, food, and drinks. I also like the fact that it is quiet enough that you can talk and be heard across the table.\nWe arrived about ten minutes before our reservation time and were told that our table was ready and we were seated. The restaurant was busy but the staff was very professional and attended to us right away. We had drinks at our table within five minutes. Our waiter was very informative about specials and answered questions about the menu. Food was ordered and served within 15 minutes, everything cooked to perfection. We all agreed that the quality of food served was absolutely excellent. After eating we had time to talk and relax. Our total time at the Keg was 2.5 hours and we were never rushed to leave and were told to stay as long as we needed.\nWhat a great experience! We will return often. It was great! They even held our table, because of traffic we were a tad late. We went to celebrate two birthdays for my daughter and my husband. We have been to the keg before. This time however the food was very mediocre. In the past it has been very flavorful and good. This time the prime rib had no flavor and the New York strip had so much peppercorn on it it was overwhelming. I was disappointed that we spent that much and a celebration to be crammed into a corner table without those touching for the entire meal. Celebrating a birthday and had an excellent time for all. Good food & wine selection. Great service. Seated promptly. Service was very attentive without being overwhelmed. Steak and Lobster were prepared exactly to order. We have dined at The Keg many times and have always enjoyed our meal and service.We decided to treat the kids to a nice Christmas Eve dinner this year. Unfortunately the food was not what we expected. My husband and I both ordered the Baseball filet and the kids ordered the burgers. My husband's steak was so under cooked that it was purple. One of the kids burgers was missing the Jalapeno aioli sauce, my steak came with mushrooms when I specifically said no mushrooms. The waiter was wonderful and none of this was his fault the kitchen was making the mistakes. I felt so bad for the waiter because it wasn't just our table that was experiencing the problems with the food but all of the tables. The manager came out and took my husband's steak and recooked it which rendered the steak well done and tasteless. The waiter then offered a new steak which is what I would have expected in the first place. The third steak was cooked right the problem is we had all finished eating way before he even received his steak. I finally asked for the General Manager who handled things much better then the floor manager. Not sure if I would return to The Keg because there are a lot of choices for steak and if a steak house can't cook the steak correctly then why go there? Tasty food and very good service in bar area and in dining area. I personally would like to see more vegetable options for side dishes. Also, the cocktails were good but not great. I used to bartend so I may be a bit critical but overall a pleasant experience each time I've gone and I will certainly return in the future. The Keg is always a good value and service is consistently good. We normally ask for our favorite server Greg, but he was working a private party â a young woman named Haley did a spectacular job and was delightful. Always a nice evening thank you very much. The service is always great even though it was Christmas Eve! The food and service keep us coming back often.\n Do wish they offered more seafood selections. Thoroughly enjoyed our meal. Our waitress Alex made our birthday dinner special. Highly recommend. We had an issue with gristle in our rib-eye. Our server and a manager came over and offered a\nfilet ... this was such a generous and kind gesture. They even comped part of our meal! It\nwas my dear friend's birthday and suddenly a fabulous portion of cake arrived. Your personnel\nmade our evening a terrific one. \n\nThank you so much! We WILL be back. We were celebrating our wedding anniversary at the Keg as we have been there in the past. Great place for such occasions. Staff was friendly and the food was outstanding. It's been a long time since I had food this good. Kudos to the Keg!! This was to celebrate my eldest son's 26th birthday ... I made the reservation days in advance in hopes we would be well cared; however, this was not the case. We were seated at a booth (which I appreciate) in a heavily trafficked area and poor service. We were treated like less than worthy of a moments notice. It's unfortunate and I hope we will not be back anytime soon. The Filets are always perfectly cooked, flavorful and tender. A perfect meal every time and don't forget the keylime pie! Why aren't the steaks hot, when they arrive? Second time in a row, the meat has been warm. Our server, Kyle, was marvelous! The food, as always, excellent. Excellent restaurant, go there frequently. Went for Thanksgiving; Danyella was an outstanding Server! She has a wonderful personality, extremely professional, courteous, stopped by to see how we were doing just the right amount of time (not too often, which can be annoying; not to little, which can have needs going unmet). The food is great! I love the 'Baseball Sirloin'. We went for a Thanksgiving traditional dinner, which was advertised. Reservation didn't prevent a 30 minute wait, which was unexpected. Then we were told they were short on turkey breast, disappointing us at 5:00 pm when one would think ample supplies for this day would be anticipated. Then, during our meal--which were delicious steaks--we had Keg personnel not-very-subtly-constantly walking by making notes on their tablets--literally every 3 or 4 minutes, it seemed-to determine where we and others were on our meals. This was particularly annoying to us. Our meal was not presented in usual manner. We ordered a shrimp cocktail--should not require much preparation--which was not delivered to us until after we were most of the way through our salads. Then before we were through the entrees were rushed to our table. I felt the important thing for the restaurant was to 'turn the tables' not the enjoyment of the diners. With the noise so loud that a young customer near us found it necessary to literally scream at her family to be heard, it seemed that the restaurant had lost a lot of control over its operations this day. Very unhappy with the quality of food. We have eaten for years at this Keg and this time was not even close to the quality in the past. I ordered the sirloin steak. When it arrived, it was so tough, I sent it back and ordered the prime rib. When it arrived, at least 50%of the rib was just fat. They were very kind to bring another piece and not charge for the meal. The problem was that my wife and daughter had already finished their meals by the time mine finally arrived. I am wondering if they have had a change in management. A little high priced but the food was good.\nVery noisy for conversation.\nSalad could use some other things added to it, like tomatoes, onions or carrots. \nVeggies served with meal had good flavor.\nTurkey was very good and moist. Thanksgiving meal.\nA little too noisy.\nFood was great but needs better vegs.\nValue was great for Thanksgiving. We've made The Keg our Thanksgiving day tradition. They never disappoint. Great food & service, reasonable prices. Excellent value. Great attention to us from server and management.. great birthday for wife. The prime rib is good. And they know how to cook a steak to the proper temperature. The wine list is very nice and the prices are fair. The only thing I would suggest is that you don't have to serve appetizers so hot that they can't be eaten. Great Makers Mark old fashioned, beautifully done (just perfect) Steaks, delicious sides and no rush to get us out on Father's Day. Tools friends who had never been there, and they LOVED it. We had a great server. Part of 11 got a bit confusing when food came out, but nothing that couldn't be fixed switching plates. Food was just as ordered. Food was good. Service was as well. enjoyed the experience a great way to celebrate our 50 th Annivesary. All employees made this a very special night. Our dinner tonight was wonderful and our server was capable and so nice. Made our anniversary special. Thank you for a great night. Very good 20 0unce t bone and fillet dinners. Out waiter, Jeff, was exceptional. A nice place to dine if you want good food, fair pricing and great service. Always enjoy going to the Keg. Service is top and the quality food is prepared just as ordered. Some of the best cuts of meat we have had for a long time,and cooked just as we asked for. Service was very good,my wife was having some stomach problems and they went out of there way to not use many spices on her food. 2 nd visit to the Keg. Great experience! Service is excellent and so is the food! The food and service was great. Enjoyed...the variety of food options. 2 in our party had never been to The Keg...so it was nice to introduce them to it. The service is excellent at this restaurant, even the staff that is not assigned to your table will stop by and check on you. If you happen to be anywhere near The Keg at Desert Ridge it's worth stopping in for a terrific experience. We have grown up going to The Keg, trying them out all across Canada. I consider it the perfect steakhouse. So I knew what I wanted for dinner before even going in. However, I was very surprised by the quality of the food offered for Cocktail Hour. So good we returned on a different evening just to enjoy the bar atmosphere. Service in the dining room and bar was excellent. My first stop when I return to this area will be The Keg! Delicious dinner for birthday. Always enjoy this place. The service provided by Robert was excellent He was very attentive! \n\nThe bacon wrapped scallops were delicious as our appetizer! The Prime Rib Keg Classic was prepared to perfection! Creme Brule for desert was a great finish to our meal! Went with the wife and mom in law and had a really good time. Excellent staff. Can't recall the name of our waitress, but she made the dinner truly special. Food was very good, timing was perfect, never rushed or waited too long for anything. Would recommend and also return. The Keg is a great choice for the meat eater and has been a 'go to' steak house for us for many years in Canada. Glad to see they have brought the Keg brand to the USA. Good value compared to other premium steak house chains. We eat at The Keg regularly...It has an elegant, warm atmosphere and great food. The servers are\nALWAYS on point and warmly conversant! I don't think we have EVER had a bad server. And, if the food is not up to par, the manager comes to our table to ensure that we have received the meal we want. In fact, a manager has always come to our table just to make sure that we are happy with the service even before our meals are served....BREAD is fantastic and the cheesecake is wonderful!!!!!! Very good service, checked on us frequently but was not over attentive. Food was great. Thanks for a very nice evening. three of us we had steaks and shrimp cocktails food was fantastic . My only complaint was that the carbonation machine was broken so i couldnt get a soda to enjoy with my meal its too nice a restaurant to have that problem . target is a half block away you would think the dishwasher could have went there and bought a case of pepsi for customers like me who choose not to drink and drive .i LIVE IN PHOENIX BUT I LIKE THAT ONE THE BEST . We had the most delicious prime rib we have ever had! Very quiet and relaxing and delicious! Took a group for a business dinner. Everyone was friendly and went out of their way to accommodate us. Great food and drinks for a good price! Everyone commented food was good and it was a great place. Keg is synonymous with value and quality in a comfortable atmosphere. Not stuffy, not overbearing. Just good food, friendly service and ambiance. We love all locations, however the outdoor patio at this location is very nice. Great service by Claire in the area and Ton yahoo in dining. Awesome as usual. Well run establishment. Couldn't be happier with our service. Had an amazing time! Server was amazing also!!! Would recommend to anyone I know . Our meals were absolutely wonderful! I had the lobster tail special ... 12 oz of sweet meat and twice baked potato. It was the best I've had anywhere in a long time. The service was outstanding, plus we received a free dessert for our birthday celebrations. Could not have had a better experience! We always treat ourselves to a dinner at The Keg when we are in Phoenix. The food and service are consistently good, and we can always count on a good meal. Their Happy Hour lasts until 7, so you can get a break on a glass of wine if you arrive before then! The Keg is always a good value. Service can be a little iffy sometimes. Always worth the trip. Excellent food and service. We tried this restaurant because we had such a great experience in their Tucson restaurant. You will not be disappointed. Solid steak house. Always good. I wish we had Keg restaurants in Boston. I have been to several Keg locations over the years and I think it is a great concept. It is a steak house that is higher end than an Outback or Long horn so it is great for a business meal but not outrageously expensive like Del Frisco or Mortonâs. They serve great steaks that included the side dish. Also, the wine list, although not very extensive is reasonably priced. We had a Caymus Cab at $100 and a Beringer Knights Valley Cab at $39. The KV Cab will set you back $25-$30 at a liquor store so $39 in a restaurant is great. \nAll steaks were cooked to order and the service was attentive without being over bearing. I will be back and await the Boston location. In general, the restaurant and ambience is a very pleasant place, but my filet was not up to par, and the keg specializes in their meat dishes. I was quite pleased, however, with the fact that someone broke several glasses near our table, and the hostess offered to buy us a free dessert for the inconvenience of what had happened. I thought this was very lovely of the restaurant staff to do this. Great food.Great service.Will be back again and again and again. Our service was horrible! We had to ask another server for an item and even had to get up and ask a manager for another. We came for my husband's birthday and were excited to have a nice evening out. The food was delicious, not great, but the service ruined a nice evening. We have been to The Keg Steakhouse many times. It always seems to be just perfect. The ambiance, the service and the food is excellent. The wife and I both thought that our cuts of steak were the best we've ever had! Our server, Brett, was on top of everything and handled it all just right. We loved it! Thank you! Everything was great! The weather was perfect, so We ate outside and it was much quieter. The inside was more noisy and very busy on a Friday night.\nWe both had cesar salads and they were generous. My wife had the pistachio crusted salmon and I had the tenderloin steak. Both were great. The manager came around and checked with each table asking if everything was just right. That show's they really care. We split a ice cream desert and that too was prefect. We would definitely go back again. Service was great! Always a great experience at the Keg! Great food and service at a fair price! The patio environment was great for our small birthday get together. Keg is the ideal steakhouse for family dining. Broad selection of excellently presented steaks as well as interesting chicken dishes made the night a complete success. Excellent service by the efficient wait staff helped make the evening as well. Kids were served quickly and every detail was tended to. Had not been there in awhile, too long. Normally cook my own steaks on the outdoor grill at home, but these 7 oz filets were cooked perfectly, medium rare for me and medium for my wife. With a wedge for each of us to start and then twice baked potatoes w/ veggies accompanying our steaks, everything was perfect. The sourdough bread round was great, also.\nOur waiter was friendly, checked on us twice after the entree was served (just right), and demonstrated genuine interest in taking care of us. easy for me to tip him well.\nOne other little wrinkle: Our drinks came with small carafes on the side with their mixers so we could determine drink strength for our liquor on ice in the glasses.\n\nWe'll be back soon!!!! We were ushered to our table right away! We had a great waiter. Explained the menu and wine list. Was great all around. Had a great evening!!! Food was excellent, service first class. Quiet enough so you could have a nice conversation and hear everyone around the table. For the past 3+ years, my husband has treated me to dinner at The Keg. Each time seems to get better! I am a lobster freak. Love, love it! The Keg has a double tail dinner (not on the menu) that can't be beat. You get 1 side with them. Perfect portion. My husband had the bone-in rib eye, done to perfection. Our server, Jeff, was outstanding. He wasn't pushy. Very friendly, with a sense of humor. Our server on Thanksgiving was Jordan. We didn't think she could be beat, but Jeff tried hard to take the lead. The welcome staff honored our request for a specific table location. The prices are a little high overall, but worth it when you include the ambience. Highly recommend to anyone wanting a good dinner and great experience. We went to the restaurant with another couple who hadn't been there before. They loved it and were very impressed. Our steak was cooked to perfection, the proportions were more than ample and the desserts yummy! We had a great waiter who was very accommodating to our needs. \nI can hardly wait to go back! Thanksgiving was coming up. The thought of not cooking was appealing. Have eaten at The Keg before so we decided to make the reservation. Open Table made it easy. Our waitress, Jordan, was cheerful and seemed to enjoy working, even on a holiday. She was attentive but not overbearing. The 3 course special was tasty and the serving size allowed for leftovers. Will go back again. Recommend it to anyone wanting a good meal. I have been to most of the Keg Steakhouses in the valley but this was my first visit to this location. My wife and I had dinner at this location before attending an enjoyable performance at MIM by jazz pianist Joey Alexander. The dinner and food quality were very good as was the service but, the noise level was exceptionally loud; too much loud laughter, loud guffaws from different areas of the room, people talking loudly with children not made to behave properly in a restaurant. If restaurants like this would stop acquiescing to the playground antics of these ill mannered brats of ill mannered parents just because they may lose a few dollars of revenue, perhaps some of the other upscale restaurants might put on similar behavior restrictions and in time this annoyance would cease. One dines at restaurants like this for good food, good wine, quiet conversation and the ambiance, not to put up with the antics of some self absorbed parents spawn of hell. Our server was very attentive and the food was Great! We enjoyed the atmosphere, friendly and courteous staff and the delicious food. The Keg NEVER disappoints. The food is always great the wait staff are super friendly and helpful. Spent a wonderful evening for our anniversary, and the ambiance and noise level made it easy for us to talk and share with each other. Caesar salad was good, prime rib was a good cut of meat, but lacked flavor without adding anything to it. If I go again, I'll defiantly try another cut of meat. Everything was nice with the exception of being seated across from a large table of 10 that were pretty noisy; also a crying baby at another table nearby kind of takes away from the ''quiet, romantic dinner' celebration.\nvery good steaks and great service! We love the food at the Keg. This is always a special place. I was celebrating my retirement and had my entire family, 11 of us. Your wait was excellent and extremely nice. My husband and I go to special place is the Keg. Especially because your food is excellent!\nPrime rib, salmon, steaks, ribs & chicken was outstanding. My family loved it! The child's plate before dinner for our granddaughter was really nice and we really appreciated it. While staying at a resort at Desert Ridge my wife and I had dinner at the Keg Steakhouse. We had a nice table (booth). Our server was very attentive and friendly. Our meals were very good (Calamari appetizer, bbq ribs and prime rib). The portions size is good. We enjoyed our dinner very much and will return during our next stay in the area. Food is terrible, restaurant is filthy. STAY AWAY! Great service all around. The salads were huge and very fresh and the steaks literally melted in our mouths and we like ours medium well so that was impressive. My wife enjoyed her baked potato, but my steak fries seemed too close to frozen fries to order again. I'll try something a different starch next time. Food was delicious & received excellent service! I'm recommending it to friends! We always enjoy our dinner at the Keg. I always order the Classic\nFilet. We are always pleased with the service. We have a favorite\nJeff Jordan. Food is really good, service was excellent. The bacon wrapped scallops were delicious! New York strip and prime rib done perfectly. We love The Keg! We went there for our 30th anniversary. They made it very special - food and service was excellent. Hard to beat when you want a good steak in a nice environment at an OK price. Ryan did an awesome job which added to our dining experience. We had been celebrating a special birthday and anniversary for years being one of our favorite special steak houses. Unfortunately the last year we opted elsewhere breaking our tradition due to the quality of food on our last couple visits. We took a chance and returned to celebrate a birthday recently and were pleased they had made some changes. Kudos to the Keg for moving back in the right direction. Drinks still need improvement, I had ditch mine it was so bad. Went for our anniversary and the service was outstanding. They recognized us with a card signed by the staff and the manager came by with a glass of champagne for us both. Not many restaurants provide this type of service and we were grateful.\nGreat job! Service was excellent! I had mentioned in comments, that it was my husbands birthday and they had a hand signed birthday card on the table! It was impressive! First time in. Jim was an excellent waiter & we will return. Want to try happy hour. Quality of food was excellent\nService was excellent\n\nCannot wait to go back!! We eat at The Keg for all our family special occasions. It is our go to! This place is great for a nice date night out. The food is amazing and the service is always above par. Highly recommend! Service was not up to its usual par. Waited too long between requests, like more water, butter, etc. Waiter seemed to be distracted, not organized. Food -SUPERIOR!!! Always a pleasure to eat at the Keg. The waiter was a real gem and from Texas too. We had a group of 4 and all with a July birthday. We will come here every year to celebrate. We've eaten at this restaurant before and everything was great. However,his time, the service was not very good and the noise was terrible! Perhaps because it was Restaurant week -- don't know. We'll give it another chance and see. The food was outstanding as usual. We were there for Restaurant Week. What a fantastic offering for the price. My wife said her bone-in ribeye steak was one of the best she has ever had. We have been spoiled by great servers at this location over the years. First Derek (the best ever), then Jeff who was trained by Derek, but not available this time. We had Malysa who did a great job and look forward to dining with her again. I think my title says it all. We had a party of 9, the restaurant would not suggest what might be best for us for seating (inside or out), the bar service was REALLY slow, and not one person thought the food was anything to talk about. My steak was like leather. Spoiled me in ever trying The Keg again. I love the price and quality combination. However your surveys are obnoxious. Just ask me one question. 'Rate your overall satisfaction on a scale of 1-10.' Any marketing idiot should be able to figure out that doing a long survey distracts from the experience and makes me not want to come anymore. Loved everything we had. Restaurant is very amenable to our special seating needs which adds to the dining experience. Our new favorite restaurant. We have dined here many times and have always been extremely happy with our food and service. Our favorite special place. Great food and service! We really enjoyed our perfectly prepared steaks, tasty garlic shrimp appetizer, and Billy Miner pie. Service was helpful and attentive without being intrusive. Recommended for special occaisions. The steak was great as was the waiter. Good atmosphere although its called 'The Keg' and there is no draft beer on tap. Disappointing. Otherwise great. A really nice restaurant, a little pricey, but well worth it. The food was excellent and the service could not be beat. Good if you are a beef lover and they were accommodating to our party and any requests we had!! We have been there as a couple and several times with friends and it was good!!! My wife was asked how the prime rib was . She told him it was not up to the Keg standard . Within a couple of minutes the manager was there with a fresh one . My wife declined it as she had eaten half but thanked him for it . Now that is service . That is why we keep going back . My wife and I have had meals at the Keg several times. Each time, we were very happy with the quality and presentation of the meals. There is also plenty of quantity to the servings; you won't go away feeling like you need a snack. Wait staff were attentive, but not intrusive. A great place for a great meal. The service was EXCELLENT! and the food was amazing, we will for sure return! We have dined here often and Hailey has been our server on many occasions, ask for her if she is available, you won't be sorry. The food is wonderful and a great value for the quality. Service is spot on and after dinner be sure and try the Mandatory Coffee, its to die for! Like it very much.,, I guess since it was restaurant week. The noise level was overwhelming last Monday night. In the past it was much quieter and I'm sure after this week it will be fine. \nWill be back the steaks are outstanding. The 20oz bone in Ribeye steak had amazing flavor and medium rare was perfectly done. A flash warmup in the BBQ the next day made for a perfect lunch. Our dinner was great, My Birthday was great.. we love this place and the people are always friendly. we enjoyed our dinner.. the service was great!! Servers are always friendly to us..
We had a reservation and were seated at a very nice table right away. The food was very well prepared and served on a perfect scheduled. Our server was very friendly and accommodating and it all made for a very enjoyable evening. The Keg is a must for any return trip to Phoenix. Food was very good. Service was outstanding. Great spot. Filet was better than what I've had recently at Mortons. Had 'Baseball Sirloin', my wife had 'Prime Rib'. Both were excellent. Great ambience, great food, hostesses were dressed classy and our Server, Brian, was absolutely outstanding! Worst meal ever...steak was terrible and vegetables were cold. As the restaurant got more crowded service became spotty. We enjoyed our evening with a client at the Keg. We had the Tuna tartar as an appetizer, it was great. our server told us about the specials, they had both fish and steak that night on a special. One of the specials was a 16 oz ribeye steak, 3 of my party had that. I had the salmon, both entrees were excellent. \n\nSave room for the dessert, I had a ice cream pie, it rocked! I had not been to the Keg in a long while as the food at the time was not memorable. Well I am glad I gave it a another try. The food was excellent, service above par. Would recommend and definitely go back. I went with a small group of friends to get dinner before our movie and it was great. They had a great deal on a 3 course meal that week and a good wine selection. This is one of my favorite places to go for good food at a decent price. Always great service too. The service was good, but... I ordered the Filet Migon. It was definitely not a melt in your mouth. While it was not tough, it bordered on that. That I would have been content with, but it had a lot of gristle in it. I had to take 3 good size chunks out of my mouth because of that. Not really acceptable for $40. I expected much better.\nIt has been quite a while since we there, thought we would try it again. It will a long time before we go back.\n\nAdd to that, they tried to tell Open Table we were a no show. We weren't, we were there and 5 minutes early to boot. Our server was 'top notch', in fact, everyone who delivered service to our party of 12 was responsive and courteous. You waiterJeff was very personable and professional, the prices were very reasonable. The staff is wonderful and the ambiance is great. We were disappointed with the prime rib. Both were tough. My wife had to send the first one back and the steak knife couldn't cut it!\nBut we will try again on our next (44th) anniversary! We have been to this restaurant many times and have always enjoyed it. Unfortunately, this time my cosmo was not good sent it back ...service was slow and our waiter couldn't be found.\nAll this being said would not hesitate to go back because of the history of many very enjoyable meals/service we have enjoyed over the years. There were 10 of us in our group with two children and the rest were over 45 to 75 years of age. We were in the first room on the left as you enter. The sun hitting the windows blinded us so we had the shades turned up. However, at that point with the 10 W bulbs you use we could not read the menu. \n\n I chose a mixed green salad and for the price it was not supplied with nearly the vegetables I had expected. \n\n With the number of retirees who live in and around the Scottsdale area, I cannot imagine you have not heard this before. The eyesight and the hearing doesn't stay the same as when you were 21. \n\n It was very noisy also. Didn't seem the acoustics were very good. It was another persons choice to go there. I have been in the back room several times before which wasn't quite as bad. If it was up to me to choose the next time, I would not return. The filet mignon is always perfect :) One of my all time favorite restaurants for sure! My family and I had a great dinner and experience at the Keg at Desert Ridge! We went to the Keg to celebrate my parents birthdays. They are in their 80s and my father has early stage dementia. It was most likely the last time I will be able to take him out to dinner. Both he and my mother use walkers which the hostess took care of. she also sat us at the closest table to the door. Unfortunatly it was a busy Saturday and the service was delayed. However two managers each came over to our table to apologize. this greatly impressed my parents. when my mother's steak came too rare they quickly took it back. In the end they comped us desert and our wine. It made me quickly decide that a bad situation in a restaurant can be turned around completely as my parents left with a very positive impression of the Keg. thank you! We were celebrating our 38th anniversary that I had mentioned during the reservation process. Each and every individual congratulated us that we came in contact with throughout the evening. The dinner and service was over the top outstanding. As a special touch, the manager personally visited our table multiple times just to see how things were going. This was one of the best dining experiences we have ever had. I love going to the Keg for any occasion, they have awesome Steaks. It's so wonderful that they send me a free dinner every year for my Birthday. Their drinks are a little bit over priced though. $10.00 for a Captain and Coke is outrageous. I will always continue to dine at the Keg Steakhouse. Very consistent food, good atmosphere. We dine here often and will come back. O ur waiter, Greg, was the best!!! We will certainly ask for him next time..
We enjoyed a lovely intimate dinner. All the food was prepared to perfection. The service was outstanding and the atmosphere was very enjoyable. Can't wait to go again! Food was delicious and they were attentive to the fact that no one came over to our table for over 10 min since we had been seated. They gave us a complimentary appetizer and for our anniversary a complimentary dessert. Classy. This is a great place to eat. The staff that greeted us was very friendly and showed us right to a table. Our waiter was very knowledgeable he explained the menu and was attentive throughout the meal the food was cooked to perfection. Even though it appeared to be quite noisy it did not affect the conversation at our table. The steaks are seasoned with a proprietary blend that is rather heavy on salt and pepper, which may not agree with everyone. The prime rib is excellent as is the salad wedge with blue cheese dressing and the garlic mashed potatoes. The twice-baked potato was nicely garnished with green onions, bacon and cheese - yum, yum!\nThe service was attentive without being intrusive - excellent I would say. I don't even have words for how amazing the food is here... like seriously... one of the best meals I've ever had!\nThe New York steak was incredible and the mashed potatoes were amazing.\nMy husband had the prime rib sliders with roasted Brussel sprouts.. the prime rib in the sliders was the most tender, juicy, scrumptious slices of meat ever. \nEverything was great.. service was excellent!\nAnd it was our anniversary, so they brought us mocha pie ... yumm! We both split the 10oz filet dinner - great meal! We come here for the outstanding beef! Greg was our server and he was excellent, good recommendations and he watched closely over our group. Would highly recommend Greg and The Keg...fabulous service and food. The service was outstanding and the food was really good. We had a mix of everything from prime rib, to filet, to sirloin, to a hamburger, and soup and salad. Everyone raved about their food. The steaks were cooked perfectly and were flavorful. The twice baked potatoes and the mashed potatoes were great! The wine list was very nice and not too expensive. The first time I ate at The Keg was about 20 years ago. The food and service have always been excellent. So, sustained quality for at least 2 decades. One of our steaks had been cooked to WELL Done. We had ordered Medium. The manager came over and re-ordered the Steak to Med. He also took the order off of our check. Which was very gracious of him to do. It was Christmas Eve. We appreciated his kind gesture. Dinner was very good, atmosphere was good...it was just a little bit warm where I was seated which impacted my opinion of the evening. Trevor was an awesome server at our table. He took very good care of me and my family. Outstanding service my man and the food was amazing. We will be back again. Second visit in six months, both with family; service was fantastic, controlled by Greg (?-could be Craig? ); late-arrival family member was accommodated w/o a problem, his order timely delivered. This was a wedding anniversary celebration; the inclusion of dessert on the house was not expected and well received. Again, service, food, choices, waiting times, drinks, all better than average. We'll be back. Had a another great evening at the Keg. Food and service was top notch. This is a nice Canadian chain steakhouse that specializes in prime rib. If the weather permits I highly advise sitting outside. Our server was busy with another table when another person came over to greet us. It is wonderful to see the staff working as a team.\nThough, I would have liked to see the busmen, remove our plates. Several of them went by and not one person asked if we wanted our plates removed. I do not write reviews . Try it, you won't be disappointed . Our server, Greg, was wonderful. He was attentive, sincerely friendly, helpful and professional. My wife's filet was done to perfection as was my blackened sirloin. The twice baked potatoes were excellent. The manager surprised us with two complementary glasses of champagne for our anniversary. Order the mocha pie for dessert, it won't disappoint.\nThe atmosphere was warm and intimate as well as open and relaxing. A 'poor man's' upscale steakhouse. It is a very classy place with reasonable prices. The Keg Steakhouse at Desert Ridge is a great all around restaurant. Food is good and the service is great. Wife and I just went for a Saturday night dinner out. It would be suitable for couples, family business and kids. It's an all around nice restaurant. We have always enjoyed dining at the Keg and will always rate it one of the best dining places. A great place to celebrate special occasions with friends. And also very convenient to get to. Seating comfortable, server polite non intrusive, food good lots of choices,two hour dinner-about $50 per person w tip. Will go back-enjoyable! I got a phone call regarding our experience at the keg and was told a general manager would call me because the people who joined us at the birthday celebration there was so disappointed in the service. They said nothing at the time but completely was so upset that they had the worst experience in dining. I love the food but not sure I would ever have party of 6 again. Our waitress was excellent. However, the bread was terrible and both the waitress and manager knew this. Excuse was something about the kitchen just can't get the recipe right. Seems to me if everyone knows the bread is not good, they'd try something new or go buy from a legit bakery. The dressing for the Caesar's Salad was also mediocre. The service was good and they gave us plenty of time to to review the menu and talk as we had a group of 8. Food was good and the value was excellent . The waiter did spill a glass of water on my wife when putting the desserts on the table and I was a little surprised he denied it was his fault. Oh well it was just water and she survived. Ate there for a special occasion. Server was very courteous and attentive, service very prompt and food very good. Ordered a New York Strip and mine did not look like my fellow diners...covered in peppercorns...which was not what I desired. We were celebrating my kids birthday, and after a $250 bill - no birthday desert. That has never happened. At the very least a simple scoop of ice cream would have been appreciated. We went went out for ice cream...after. Great atmosphere, excellent service and delicious food! This place has become our go to for celebrations and romantic dining! Although a bit pricey it is worth every penny! The Keg is a great place. I'd recommend they suggest a minor dress code such as a collared shirt to enhance the restaurant ambiance. Many patrons are dressed as they are at the beach. The food at the Keg at Desert Ridge was delicious. The servers paid special attention to us and were friendly and professional. Our seating was perfect. The noise did not impact our conversation. We will definitely recommend the Keg to our friends and associates. I included in our reservation that we were celebrating an anniversary and a birthday. No one mentioned it during our entire dining experience. We had a medical issue that caused us to leave quickly and our server was still trying to sell us dessert. Usually a manager comes by to say hello and check in, but not that night. We had to ask for things more than once and since we were put in a corner away from everything it didn't feel like we were checked on very often. It took awhile to get boxes and get the bill paid when we needed to go quickly. We have spent our anniversary/husbands birthday at The Keg the last 5 years and this is the only time that we left unhappy. It will probably be the last special occasion that we will celebrate there. Other restaurants have decorated the table, bought dessert or a round of drinks, taken a photo and inserted it into a card, and the keg used to bring us champagne and a dessert. This year we weren't even wished happy birthday or happy anniversary. We'll return to the places that celebrate with us. I'm disappointed that we didn't enjoy our evening as much as we have in the past. Dane, our waiter, was professional and perfect with the amount of attention he gave us. Our steaks were cooked perfectly. The Keg is one of the best steak restaurants on my fine dining list. servers were great, food amazing.. loved the pistachio crusted salmon!! one of tableguests thought his NY steak was the BEST he ever had.. wanted the recipe! great dinner. Lovely, special birthday dinner. Service was very notable, top notch. Ambiance at The Keg is outstanding. Great menu with wide variety of special cuts of meat as well as seafood. Prices are reasonable for the size of your meal. Many wines to choose on the menu as well. Overall a wonderful place to eat and celebrate. Our waiter was very attentive. Food was delicious as on our previous two visits. We came to celebrate my husbands Birthday and got great service and wonderful fillets. We always enjoy the menu and the Pecan crusted fillet was terrific!! The salads were also fresh and well presented. This is a great restaurant. Try the Mushrooms Neptune. YUMMY! I love them. The Keg employees gave me & my husband excellent customer service, and our dinners were\ndelicious! We will certainly return. Service was good. Lobster was good. Steak was ordered medium, came out with no pink. I would have added more above but not there that long. We loved everything about the Keg - food, ambiance, etc. The salads were crisp and fresh; the potatoes and meat were fantastic and sooooo delicious; and the dessert truly enjoyed. We came for my son's 55th birthday (he chose the Keg). We couldn't have asked for anything better. Maybe we'll come for my 74th! !\n\nI would (and have already) highly recommended the restaurant to others. This was the second year in a row for our anniversary dinner at the Keg. The first visit was truly a wonderful dinning experience, and this year was even better. Wonderful food and outstanding service. We will be back without a doubt. The people at the Keg made our special evening even more special. Thanks. Overall, it was good and our server was excellent. I was very disappointed in my glass of wine, and have to say that the steak was nothing that I couldn't have gotten elsewhere for less money....I should have stayed with my usual salmon dinner. Best steakhouse value in this area. Lobster summer was excellent... Fresh sweet lobster tail & twice baked potato!! Sorry but this night was a no go. We were a party of 4 who were there for the Lobster.Unfortunely the lobsters were awful. They tasted like they had been boiled in pepper,herbs,and what ever else.They assured us the water was plain and brought out another This one was also bad.There was very little meat(which is no ones fault)and not juicy like a fresh lobster should be. The kitchen manager came out to talk to us and they did take the lobsters off the bill.Sad because we wait all year for the fresh lobsters. In the past they have been excellent. At $47.00 for the lobsters we expected much more.\nOur appetizers were great .\nOur server was not up to par that night. He was training someone and was taking care of a very large table right by us. Again not the usual service we are use to.\nI guess it was a bad night all around. While every other visit has been wonderful, the meals were not served hot, sauce I had ordered was provided when my meal was nearly finished, and one of the meals ordered was incorrect. This is NOT normal for The Keg though, but unfortunately this last visit was not up to its normal 5 star performance. I ordered the prime rib. It was very fatty and thin for the price I thought. And all the sides were ala carte. It came with french fried onions that were COLD. When I asked about this I was told they are all like that. The baked potato was included. We also had a shrimp cocktail. There were about six I think but the sauce was very bland. I had the caesar salad (extra cost) but it was good. I think this restaurant is overpriced. For the value, I would go to Ruths Chris Steakhouse instead. My dinner with one drink and no dessert was $72.00 including tip. Family dinner at the restaurant to celebrate a birthday. The staff was great and made us feel special. The food was very good and the prices were reasonable. We will go back. Good food but a little pricey for what was delivered. The upcharges are hard to follow. For example, one ounce of Bernaise Sauce for my steak was $2.00. Sautaued onions were $3.00 extra but I could have fried onions for nothing. Made no sense to me and I felt like they were nickel and diming the meal.\n\nService was good and food was good so why ruin that experience? From appetizers to desert this meal was amazing! Prime rib was fantastic. Service was above and beyond! Very nice atmosphere. Good food and good value. Service was fine. Have been there several times and have never been disappointed. Will obviously be back. I come here very often and have always received excellent food and service, without ever having a complaint. Prices are definitely in line with other high quality restaurants. Filet and prime rib are outstanding. Seafood is always wonderful. Twice-baked potatoes are the best in Phoenix. Good - two of our three meals were excellent. \nBad - the third meal was horrible and was comp'd by the manager. Also, our waiter was very pre-occupied with another table (talked at their table for 10 minutes at a time), resulting in little attention our way, and excessive yet avoidable delays in food delivery, even after the manager had apologized for the food quality. First time in a decade that I have provided that small of a tip. Server was friendly. Food was almost right. Had ordered one meal vegetables but unfortunately received red paprika and beans. We have always enjoyed your fine place for a great meal and drinks. I give you a 5 star rating. Everything from the staff to the food was superb. Our server offered to cut a whole lobster in half for me, and it was so delicious--every bite tender and sweet. Even the baked potato was perfect. Can't wait to return to try more dishes. The Keg is a great place to have a good steak when you don't want to drop several hundred bucks at an iconic steakhouse, but you still want good quality food and nice service. The value is really great. The Keg they sent me a $25.00 credit for my birthday (I've been getting them for several years). They serve a lot of food, big salads and sides with the main course. The food was very good and the servers were very attentive. eaten there before, not so good this time. my sirloin had a lot of tuff tissue in it. the staff was very good as usual. Service was slow. Steaks arrived cooked per order but they were not as warm (hot) as it should have been.\nSalad was very good, and the desert was good. We've gone to the Desert Ridge and Tempe marketplace Kegs for years- first time ever that I sent a steak back because it was tough...but it was what happened next that really struck me! The server responded promptly and accepted my suggestion to stab the meat with the fork- she agreed it was unusually tough and immediately offered to replace it. The manager came over to apologize and asked if there was anything else we needed - - they were so polite, if we hadn't already been stuffed, I'm sure they would have comped desert.\n\nWe won't hesitate to return for a birthday next month. The table they us to not acceptableso we requested a different one. The manager was very accomadating and found us a nice spot. The service from our waiter Dane, was excellent, and food wonderful. We usually love The Keg and have always had a good experience. Father's Day was different. The meat did not get prepared as requested. We had to send back my husband's meal so I was eating on my own for 1/2 the meal. Not a very good Father's Day experience. When it did come, it was very well prepared. However, nothing was done to make up for the mistake. We were given the Father's Day gift card that every customer received that day on Father's Day for a future visit. I would have expected our bill to be partially comped or some other accommodation made--a free drink, a dessert, a future visit. Although the chef was extremely cordial and very apologetic, that did not make up for the fact that we paid full price for a less than full price experience. Thank you. Always enjoy dining at the Keg. Staff are friendly and service is top rate. The steaks are excellent, always on target whether you want it rare or well done. You will actually get your steak done to perfection. Celebrating my husband's birthday. We had our daughter from Tennessee with us and she was very impressed with the food AND our server, TARA....\n\nI can't say enough about Tara. She is adorable inside and out and very attentive the entire meal!!! Really, she is a large part of why we return to The Keg. The food is almost always great and the service too. A special place for my husband and me. Our waiter was fantastic. The steaks were best we had. Only complaint is that the roasted Brussel sprouts were barely warm. I didn't complain about at the time because I did have plenty of food. I am confident that our waiter would have brought out a fresh if I would have said something. Definitely will eat there again. We found the food to be excellent. Their prime rib is first class as well as their salmon. Our server was very attentative to our needs as we made him aware we were attending an event. He ensured our orders were placed in a timely manner and our time was well managed. The Key Lime pie is house made, and very well in deed. We will return on a regular basis as we found the price points to be very reasonable. We have been going to The Keg restaurant for years. The service is always high-level, the food is delicious and the attention to detail is refreshing. This year we had Greg as our server. He was phenomenal! He answered questions with attention to detail and no glass neared empty on his watch! Great outing. This was our first time dining at the KEG! The food was outstanding the service was excellent and we will definitely be back again!!! Almost didn't keep reservation based solely on the name. However, very glad we did the food and service was outstanding. Highly recommend the tenderloin with blue cheese. The Keg is our favorite restaurant for special occasions and also for taking guests. The food is delicious and the service outstanding. We were celebrating my wife's birthday and it would have been nice if the server acknowledged the occasion. My wife did find a card by accident on the table from the restaurant. The food was very good as always. We've never dined on a Monday nite before and the restaurant wasn't very busy so I think the service could have been better. Great spot for a late dinner with business associates. In town for an annual meeting and really hit the spot! This restaurant is excellent. Open Table arranged for roses to be delivered to our table. Restaurant honored our VIP table request. Service was crazy-good, with server constantly checking on us, explaining menus, wine lists and more. It was so good I left an $80 tip on the meal. We'll be coming back for sure. On May 27th, 2016, we went to The Keg and we waited quite a while for our waitress to greet us and you could barely hear her speak. She was not attentive in the least. Our bread and appitizers came out with our salads. We had to remind her several times for our slices of lemon and limes for our waters. It just seemed like we were invisible. We were there to celebrate my husbands promotion (which we kept to ourselves, because we don't advertise what he does for a living) and it was less than a joyous experience. Whether you are there to celebrate something special (and share with them or not) every guest should be treated equally. I believe we were seated at table number 43 and it was a booth.\nOn April 9th, we went to The Keg for my birthday and had the best service (by a waitress in training) and all of our meals were cooked to perfection. \nWe always bring our out of town guests to The Keg and we have excellent service and the food is outstanding. My friend and I were encouraged by the clean and stylish look of the restaurant, and the welcoming reception of the host and hostess. The restaurant main dining room seemed dark and a bit crowded and noisy, but we were seated in a quiet backroom by ourselves. Our waitress was perky and very responsive to our requests. The strawberry daiquiri ( made with real fruit), and warm sourdough bread with soft butter delighted us. We both ordered the garlic shrimp. Nice to see a new use for escargot dishes. The shrimp were small China Whites drenched in wonderful garlic butter, topped with melted and browned parma cheese. The dish was only okay due to the quality of the shrimp. Next I had the prime rib Oscar with bernaise sauce. I ordered it medium & that's what I got. I also got a slice that was half fat. The twice baked potato was dry and had fake (?) odd tasting bacon. Linda had ordered her rib steak medium rare and felt it was underdone. She also had made a point of telling the waitress that she wanted nothing on her mashed potatoes, no gravy or sauce. She got hers with the steak on top. They took it back & replated it with fresh potatoes. We both had Creme BrÃ»lÃ©e for dessert. The custard part was very soft and a bit tasteless. The waitress responded quickly with take home boxes and the check when requested. All in all, for a meal that cost over $100 for two, plus tip, it was not worth it. The service was excellent. The waiter was the best I've had in a long time. The food was good, well seasoned, and cooked to order. The keg is a good option for gluten freen. They know what foods are and many are naturally gluten free so there are many options. We had a great time. Great service - generous portions - pleasant ambiance - good value. Recommended for special occasions and romantic dinner. Our server was great ! Her name was Gabyrielle. ( not sure of the spelling ) the food was prepared perfectly. Nice evening. We were very pleased with our service and the food was great! We were there for restaurant week. I had the prime rib with seafood and my wife had the fillet, which she raved about. We both took some home to finish the next day and it still tasted great, cold! We both had creme \nbrule' for desert and could have easily split one, it was large enough. Would definitely go there again! The food was delicious, the ambiance was great, and the staff was very friendly, but not in your face. we will definitely visit again. We went to The Keg for the first time during Restaurant Week. All I can say is Wow! I was impressed, and I don't think I'm easily impressed. The hostess was quick to greet us and seat us. Water was brought quickly and we were told our server would be by shortly. She was and Hailey was wonderful. She had great suggestions and was friendly and knowledgeable about the menu. The food was delicious! We started with escargot, garlic shrimp and a Caesar salad. Drool worthy! For entrees we had the prime rib and the bone in rib steak - also, I can't forget to mention the twice baked potatoes. I got them per Hailey's suggestion. Boy - was she on the money with that suggestion! I don't know what they added to those potatoes, but they were so tasty! The restaurant decor at The Keg was nice, service was prompt and courteous. The happy hour menu looked great. I really wanted to love this place. Sadly the food was uninspired. Steak was overly seasoned (basically like the terrible Montreal steak stuff grocery stores sell). The green beans were not seasoned at all. I think the quality of the ingredients was ok, just poor preparation perhaps. Made reservations at 6:00 and we were seated shortly after we arrived. Server was great and the food was very good. Have been here several times and always been satisfied with experience. We arrived 10 minutes before our reservation time and were taken to a table immediately. The hostess showed us a table in a small room that had a very large, loud group already seated. We asked to be moved to another table because of the noise. Even away from this group, the restaurant was louder that we expected. However, our dinner was excellent and we were given a very nice desert for our celebration. We were wished a happy anniversary by several of the staff. For a special occasion to just getting together with friends, The Keg does not disappoint. The food is delicious and not overpriced. The service is efficient and everyone is friendly. The prime rib was superb. Worst front door staff I've ever experienced. Don't bother with making the reservation, it's pointless with these rude employees. Took my son out for dinner prior to a music concert. Made reservations for 6:00pm. Arrived a little before 6:00pm and checked in with the hostess; was given a paging device. We waited just outside the entrance, and watched other groups be seated. About 6:10pm, I checked on the status, letting the host and hostess we had a deadline. They said they would seat as soon as possible. We remained in the entryway adjacent to the hostess stand. At 6:20pm, we could no longer wait. Went to return the (silent) pager, and told 'We've been paging you.' I showed them the silent pager - no response. And...we were standing right in front of them waiting, the only people in the area. Our take is that reservations don't mean much to the Keg. We decided to stay and eat. Our server was informed of our deadline, and did take care of us. Food was good, not great. One of the prime ribs was an overcooked end cut, but time did not allow a replacement. The steak and prime rib are excellent and cooked to your exact specifications the Ceasar salad is excellent and they have a great ice cream dessert and a cheesecake dessert. The freshly baked sourdough bread makes a great accompaniment. This was our first visit to The Keg and our experience was good. Our server was excellent, the food was above average, and when we asked for a different wine because our first bottle was a little 'off', they were very accommodating. We enjoyed our experience and would definitely recommend eating here. Having been to the Keg many times over the years I found this trip to be a bit less enjoyable then I had expected. I had prime rib that contained a large vein of fat through the center as well as considerable amount around the edge.\n\nWife had filet and thought it was a bit too dry.\n\n everything else was fine\n\nwaiter was great and attentive\n\nGroup next to us was a bit boisterous. We ordered the Prime Rib (house specialty) and Filetlet Mignon. They were both fatty and tough. I made this reservation days in advance. I put in the notes it was my birthday. Not that I expected something huge, but not 1 person even said 'happy Birthday'. When I told our waitress near the end, all she said was 'oh'. I had gone to Donovan's the week before with a friend and put the same thing on the reservation. When we arrived, we had a special table, a beautiful card on the table and I think every employee stopped by to say happy Birthday. Needless to say, The Keg Steakhouse is the last place I'd go for a special occasion. Also, the Caesar salad, which I'd had there before and really liked, was terrible this time. It had so little dressing, it might as well just been lettuce. Very disappointed! Sad this was the way I spent my actual Birthday! We have dined at the Key on several occassions and have been pleased with the meal as well as the service. However, this time it was a completely different story. I was pleased that we were seated immediately and in a nice booth. It took a long time for the waiter to arrive and a very, very long time to get our drinks. We ordered a vodka on the rocks and we were asked if we wanted a double and since we thought the price would be double...said no. However, the pour is only (ONE) ounce! A double is only $2.00 more but were not told this. Our meal was very poor. Ordered the house speciality... prime rib! It arrived medium well to well when we asked for medium rare and had absolutely no flavor and was very fatty!! Also, the garlic potatoes were flavorless and had lumps in them. We did not want to cause a problem since we had recommended the Key to our friends so we did not say anything to the waiter. Our friends were not impressed and it will be a long time before we return. So disappointing for a celebration dinner with friends. Went to the Keg for a birthday dinner and we weren't disappointed. Excellent food and excellent service. We'll be back at some point. Always consistent and can be depended on for a great time. ONE OF OUR VERY FAVORITE RESTAURANTS. WE GO THERE OFTEN ESPECIALLY FOR SPECIAL OCCASIONS. Our waiter was very good, very attentive, food came out timely. Everything seemed cooked well, except mixed veg were a bit under cooked as well as one steak. Food was good, not perfect. Wedge salad was served with too little dressing - too light on bacon bits. Prime rib was not 10 oz. though its degree of doneness was correct. Onion straws were so salty they were inedible. Mushrooms were cooked/seasoned well. Baked Potato was hot throughout. A side of butter for the potato would have been appropriate. Our server was personable but overworked; too few check-backs, never crumbed the table, dessert suggestion was too hurried, long wait for plates to be cleared and check to be processed. Manager checked on us. Hostess stared at us as we left without saying a word. Atmosphere was loud. Very loud. Restroom was clean at 7:45 pm. Took my wife to the desert ridge location a few nights ago after not being to the keg for a couple years. We went to the Tempe market place location several times and it was great. Much better ambiance and much quieter. Service at desert ridge was on point. Great food and fast service for an upscale spot. Good steak and twice baked potato! Stuffed mushrooms were good. The Keg was the perfect setting for our 45-year employee's retirement dinner. The food was great and everyone in our party was extremely well satisfied. The staff, even with a trainee, was fun to work with and they did a great job. One of the members of our party was a Vice President and he too was well satisfied with the event. Thank you all. My wife and I celebrated our 10th wedding anniversary and were so grateful and appreciative of the staff that made our dining experience so memorable. Our food was cooked perfectly and we were made to feel welcome and special on our day. Thank you again, the Lintz's. The waitress forgot to put in our order. We were at the restaurant over 2 hours. When our food arrived my file was cold and dry and the food was cold. The manager however was apologetic and took care of the food for us. It was a birthday and I feel it was not a great experience. The Keg is always consistent, food and service are always good and they offer a great meal at a moderate price. The atmosphere is great, nice fireplace. It is usually always busy so there is a moderate level of people notice having a good time, but not enough to distract your own conversation. The manager always stops by your table, if anything is wrong they take care of it right away. We tend go to the Keg with friends and family for special occasions and for romantic evenings. The food, service ambience are impeccable. For the price, we expected more. The prime rib was grisly and the twice baked potato seemed to be from a frozen product. We have eaten here many times and have never been disappointed. We have brought relatives from out of town and they love it too. The Keg has very good, high quality steaks and they are not too over priced like some other steak houses. My wife and I have been several times and will return. I have dined at the Keg many times. This is the only time I was seated in a dining room I didnt even know existed? I was seated at farthest corner. There was only one other table occupied in this huge room in no-mans land. Service was not what I am accustomed to. Mostly we were just left with no servers in site. Especially when they got our order wrong. Is this the *section* they reserve for open table? Like discount hotels or airfare? We passed many empty tables in main dining area on our way to be seated in the * just seat them and ignore section* food was luke warm and dirty plates not cleared until were ready to leave. Disappointed. We came for an early dinner before a movie. All staff members were very friendly and attentive. Jen, our server, was a delight. \n\nThe filet was prepared just as requested. Piping hot bread was brought to the table while we waited for dinner. We both found wines that we enjoyed. \n\nAll in all...it was a great experience. I'VE BEEN COMING HERE FOR YEARS AND HAVE ALWAYS BEEN VERY SATISFIED. My wife and I recently visited the Keg restaurant in Desert Ridge. This is our 'go to' place for a great meal at affordable prices. During this visit, the soup was lobster bisque. The server stated that it had chunks of lobster in it. When the soup showed up to our table, the server cautioned me that the bowl was very hot. In fact it was but the soup was cold and there was no trace of any lobster chunks or pieces in it. I explained this to the server and he apologized and took the soup away and I was not charged. This is the first time that I was not pleased with any type of food at the Keg. The manager also came by the table to explain which was very much appreciated. That is what I call service and that is why I will continue to go to the Keg. The rest of the meal was excellent and again, the service is number one. Yes, it's a chain, but is better than many. Good place if you want to stay at the $$$ level and not go to $$$$. When 3 of us walked into The Keg for a fairly late mid-week dinner, the place was full and noisy, but the hostess showed us to a table in the back room that was roomy and quiet. We were very hungry and our waitress was very efficient and we had drinks and salads in front of us very quickly. All were delicious. We ordered 2 NY Strips and a Prime Rib dinner. The meat was served exactly as ordered and was very juicy and tasty. We would definitely recommend this place to others and return ourselves. We have eaten here many times over the past few years and the food and service have always been excellent. The prices are fair and competitive with other steak houses. The main menu centers around steaks and prime rib but there is also a good variety of fish and chicken dishes for the non steak eater. I recommend this restaurant if one is looking for a great meal in this area of town. The prime rib was very good. I asked for it to be on the rare side and that is what I got. The selection of craft beer, local or otherwise, was pretty limited. Nice place and good food overall for the price. The Keg delivers! Delicious food and doesn't break the bank. There are items for everyone, course they are known for steaks and never disappoints. We went to to Keg Steakhouse with our friends the night before the Valentines day, our friends ordered steak; we ordered fish. When we got fish, it was completely raw from inside. It took a long time to get our cooked food. By the time we got food, our friends had finished their meal. The manager came over but was not polite. Just said your fod will be here in few minutes and left. When we were leaving, he didn't even say goodbye. He just kept talking to one of the associates. Very bad experience. We celebrate most Birthday's here, and if you join the Keg Club you get a certificate to use during your birthday month. It was my daughters birthday and we drove from Tuscon and couldn't get a reservation in Chandler or else where as it was Valentines day also. Any way you accomodated us and we drove 16 miles out of our way to eat there. It was worth it. The Prime Rib was delicious but did not come with creamy horseradish sauce as requested. Also, the wedge salad was not very fresh and did not have hardly any dressing. When asked waiter for extra ranch dressing it wasn't brought out until the salad was gone and the main entrees had been served. Environment is noisy and outdated - not the best for ambiance (probably better ambiance sitting outside on the patio). The food is always as requested. On our last visit our waiter was just exceptional. We asked for our food to be done in a few unusual ways. It came as requested and as food is delivered by the kitchen our waiter came to make sure that we were satisfied. We can always count on the food to be consistent, hot and tasty. We have family from out of town who request a dinner there on every visit. Our go to place when we want a great steak. Always super wait staff . The Keg Steakhouse at Desert Ridge was a great dining experience. We had a 5:00 reservation and we were seated on time. Our waiter Greg promptly greeted us and started our drink order. He provided a detailed list of specials and returned quickly with our drinks. Our order was taken and bread and our salads were brought to the table. The entire meal, from start to finish, was a pleasant experience. I as impressed that our dinner on Valentine's Day only took 45 minutes instead of an hour and a half. It left time to enjoy the rest of the evening. I would recommend the Keg to others and if you are at this location ask for Greg. We had a wonderful dinner and evening at the Keg on Valentine's Day. It made it a very special anniversary!! 2nd time at the Keg. Amazing food, great wine selection, and great for an easy romantic night with that special someone. My husband and I dined here the Saturday night before Valentine's Day. We were seated almost immediately. My husband really enjoyed his shrimp cocktail appetizer and I enjoyed the wedge salad. For our entree's I had the steak and lobster with baked potato and my husband had the cod. All were prepared perfectly. The fresh baked bread was delicious as well. The service was ever so slightly slow, but as it was a busy night, that was to be expected. When my husband asked about ordering a glass of a particular wine, our server recommended another one and my husband really appreciated the recommendation, not only was the wine better than what he expected but it was less expensive than the original one he was going to order. I'd definitely recommend The Keg. It was enjoyable friendly place. The waiter very knowledgeable. But very pricey.. I ordered prime rib and lobster and my boyfriend ordered prime rib and shrimp. Definitely worth the price for a special occasion! Food was phenomenal and their brownie Sunday desert was amazing!! Would definitely recommend this place to anyone looking for a relatively decent priced, romantic dinner!! Service was also great! Absolutely 100% perfect everything! Coming back with family and friends!! My wife have been dining at The Keg for more than 10 years and we have never ever been disappointed. The food is great; the ambiance is soothing; the service is highly attentive. You can't go wrong making this your special occasion dining spot. We were seated at our reserved time. Our waiter was friendly and made great recommendations. It was our first time there and will return. the prime rib was extremely dry and tough. Almost like a very old piece of meat. The filet was good, but the dinner was ruined by the prime rib. This was a business dinner and I did not mention it. The restaurant reserved a booth and that would have been uncomfortable. They were very busy, but I asked if they might have a table and explained the quandry I was in... not 5 minutes later, they sat me at a table and the rest of the party showed up not knowing any different. The service was great all night long! for the music!!! We took my mother out for her 73 birthday and they had horrible popular music on. Why can't they play something a little more steak house like? There were many various type of people there. It's not a place for 20 somethings to hang out and get hammered, so play music that is appropriate for families of all ages, not bar music!!! Change it later in the night but at 5pm with many elderly people there, play something blues or jazz. \nOther than that....I had Escargot which were extremely tasty and french onion soup which was delicious. My entree was the blue cheese filet, cooked perfect medium rare!! which a crispy blue cheese topping and wrapped in bacon. Best surprise was the asiago rice, so tasty with small pieces of mushroom.....is you are not a big baked potato fan, this is an awesome alternative!!! From greeting at entrance to departure, and all interactions in between...most cordial, sincere staff make the experience just that, an experience! Great place! Food is awesome! Always have a great time there! Food was excellent inspite of the fact that all three steaks ordered medium rare were somewhat over cooked. Enjoyed lounge with fireplace. Loved booth , but big family ate across from us and was very loud. We couldn't hear one another. Couldn't give 5 stars due to noise level of restaurant. Had to ask for credit card back after bill was delivered. Food , excellent! I ate here recently on a Saturday evening as a last minute option. I'd driven by the restaurant a hundred times and never eaten there, but I could get a same day reservation. The food was good, but not great. Maybe better than Outback, but twice as much. Two steaks and a couple drinks, and the tab with tip was $140. You can get real food in this town for that. Choose somewhere else, or at least understand what you are going to get when you show up. They have an excellent orange martini. And the server was fantastic and knowledgeable about wines. The appetizers and soup and salad were good. Side dishes were very good. However the quality of meat was less and than sub par. I could have gotten a better cut of steak from Costco. my husband was disappointed in his as well. Mine was tough and his was very fatty. We reserved a private dining area for a dinner/work meeting. Might have been nice if the restaurant asked what type table/seating placement we would prefer. They had two tables for a group of 15 rather than one. Overall good location for a meeting/dinner such as this. For the prices pf the food does not live up to it. 18 dollars for crab legs that were small and had really no meat inside them was disappointing. The drink I had fell way short of an old fashion. Maybe management might to walk the tables instead of vaccinia the floors. I celebrated my bday dinner here. They knew this but the waitress never acknowledged it! The filet was good and the lobster was really good. Limited on good sides to choose from. Waitress spaced several times on not returning our refills. I brought my fiancee for his birthday. We have been here numerous times. The food was not up to par. I was very disappointed. I hate to say it but I don't think we will be returning. For the money I spent it really was not worth it. When you make a reservation, you expect to be seated within 5 or so minutes from the time you made it at... well the hostesses at the Keg didn't really seem to care either way. We arrived 5 minutes early and were given a beeper and told 'we're seating people now, it will be a bit.' No time frame or apologies that our table wasn't ready but since we were a little early I accepted it. 15 minutes later we still had not been sat, we asked the hostesses why and got a curt 'oh sorry we don't have anyone to buss the table' and once again were not given a time amount until we were seated. Finally at 6:45 we were seated at a small table with no apologies for the wait or explanation. Luckily our server Dane was awesome and made up for it. However, the hostesses need an attitude adjustment or just to learn how to speak to clients politely. We love returning again and again to celebrate birthdays of friends. Wait staff, food and chef always attentive to special needs and the perfect presentation hits the mark. We usually are a party of 10-14 and The Keg and staff make the extra effort for each of us. You can be sure you will enjoy the professional staff who will make your evening memorable. ALthough it is not quite as nice as some of the very high end restaurants it is really good food and service. When booking a group occasion it would be nice to have a round table to fit 6-8 people in a private room. The benefit is that everyone can share in the conversation, it is quiet enough for everyone to hear. If you set aside a special sitting area so the group can enjoy the occasion you would definitely get more group events. We love the Keg and the friendly atmosphere. The employees are fabulous, the food is definitely 10 out of 10! Just would like a little better ambiance to enjoy a family or group celebration. My wife's entree arrive cool - meat, veggies, lobster tail & butter. Took 15 min for replacement with was fine, but made our experience asynchronous. They should improve their QA coming out of the kitchen. No comp offered, just an apology . Went here for our anniversary dinner. Would not be able to afford going here too often. It was above average food for above average price so I guess that is value. Nothing that will make me anxious to go back soon. Nothing that will make me refuse to go there either. Reservation was for 9:15 pm but didn't get seated until 10 pm. The Keg is always our first choice for a night out, whether a special occasion or just good food, The Keg never disappoints. We Love the Keg, and always look forward to our next visit. Can always count on great service and the bacon wrapped Filet melts in your mouth. \n We have noticed though in the last few years the quantity of the portion has gone down and the prices have gone up. It just means we will just go a little less often but will still love it ! This was another great dining experience. We eat here when we want excellent food at a great price. The service as usual was excellent. The server was friendly and attentive. This is always our first choice for special occasions such as birthdays and anniversary. We always recommend The Keg to all of our friends. My daughter let us know about this restaurant and we were so pleased to be celebrating her birthday and our 25th anniversary. The calamari was the best I have ever hat - the sauces were wonderful. Each of us enjoyed our choses - all 3 of the different steaks were delicious. Loved your bread and our chosen wine. Food was fantastic. Liz are waitress was fantastic. We have eaten there many times and never been disappointed. Good choice. This was not our first time we went to the Keg for Thanksgiving Dinner. We have always been satisfied with the food and the service. We will no doubt go again. I was impressed with the dress code for waiters and hostesses. The Thanksgiving dinner was excellent. I will return! Fantastic Thanksgiving Dinner! Our food and service was Fantastic! My wife, daughter, & I went Thanksgiving night for dinner. The restaurant was very busy but we were seated quickly, had great service, & great food. I had an excellently cooked steak that rivaled places that charge double what the Keg does. We will be back for sure! We were there for Thanksgiving dinner. Along with other entrÃ©es, the traditional turkey dinner with all the trimmings was offered. It was very good. Out waitress was efficient and friendly. Saving us the time intensive work of cooking and cleaning, we had a great time there. Very pleased all around and for such good food it was reasonably priced. The prime rib, the filet, the cod, and the Caesar's salad were excellent. The waiter suggested a great cabernet wine which was enjoyed by all. Service was fast and efficient for our table of 10. We will go again. After a long trip for Thanksgiving vacation, we picked The Keg from Open Table and was absolutely pleasantly surprised by the quality of the everything including the food. I would recommend this place again for everyone. Witnessed an accident and advised The Keg of delay arriving and they saved our table. Celebrating anniversary, food was great! We've been to the Keg several times and it never disappoints. This birthday dinner was extra special. Started with a personalized birthday card. Followed by tasty appetizers and a fresh salad. The recommended cut of steak was very flavorful and perfectly prepared, and our plates were well-presented. Dessert and coffee were a great finale. Of course, our server was attentive, knowledgeable, and very personable. It made for a memorable evening. Thank you! My husband ordered the shrimp and lobster salad but when it came, he could hardly find any lobster or shrimp. He voiced this opinion to the manager and the manager explained how items are weighed etc etc. Without a request from my husband, the manager brought over additional fish for the salad. This small act was a great customer service act which turned a uncomfortable situation into a great recovery and made customers happy. The restaurant will definitely do whatever it takes to keep a customer happy. We went to the Keg to take advantage of restaurant week. The food was very good with generous portions. Our server was great, she added to the experience. We will be back. Ribeye a little chewy. But still good. I ordered my steak 'a touch under medium rare'. It showed up around medium. However all in all, good place. Salads were nice and crisp, steaks were fantastic, service (Jordan) was just right. The Keg is always a solid dining choice and the food seems to get better and better! Also enjoyed some tasty cocktails . First time at The Keg. Enjoyed an especially good restaurant week menu! A lot of choices, large servings, EXCELLENT service!! \nCannot wait to go back! We think their steak is as good as anyone's and the atmosphere is more western and fun. Some steakhouses have that over formal stuffiness that you don't see here. I think because they are Canadian it has a different feel to it. We think it is the best steakhouse for our special occasions even though it is a long trip for us from Goodyear. Their wine list is also reasonably priced which makes the total bill much better. The Keg is a great place to celebrate special occasions because of the little thoughtful things they do. The food is great although we have only eaten steaks. We have tried a variety of appetizers and they have all been superior. The service is what you would expect at a high end restaurant. It's been a great find for us. Great food, great atmosphere and great service. Prime rib is melt in your mouth good! My girlfriend had top sirloin and loved it. Will be back again! 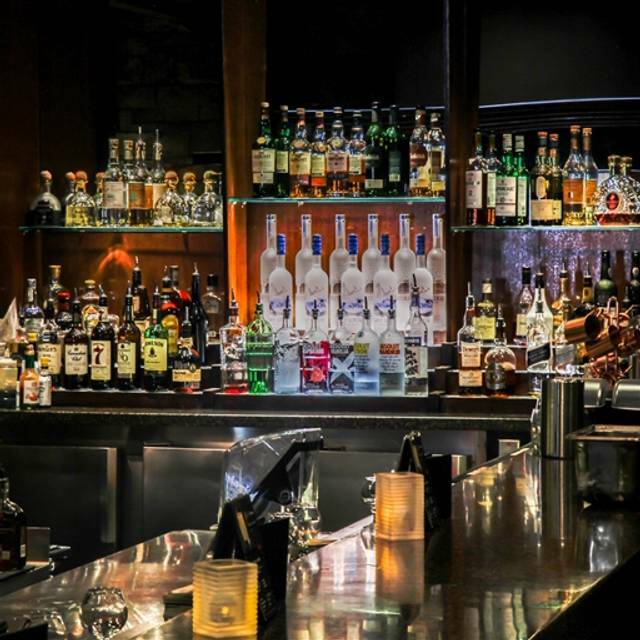 Reserve a table at The Keg Steakhouse + Bar - Desert Ridge in Phoenix on KAYAK. View information about The Keg Steakhouse + Bar - Desert Ridge to help decide on what to eat. On KAYAK you can also explore 5 photos and 684 unbiased real reviews about The Keg Steakhouse + Bar - Desert Ridge.